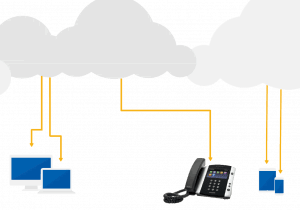 Is a cloud-based phone system right for you? 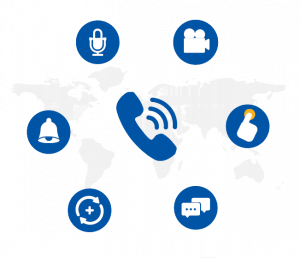 - Headsets Direct, Inc.
Over 5 million small and medium sized businesses in North America have already made the switch to cloud-based phone systems. 62% of North American and European businesses plan to move their phone systems to the cloud. The switch is occurring rapidly and growing at over 27% per year. The combined business and residential market for voice services is expected to reach more than $82 billion by 2017. Maintenance is your VoIP companies responsibility. employees who travel or work remotely. On average, 7% of North American SMBs let their staff telecommute at least one day per week. 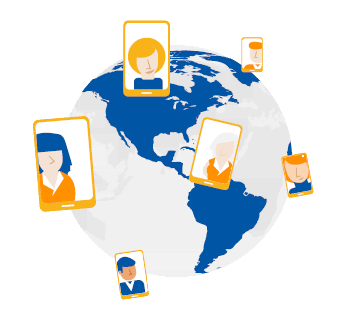 Distributed organizations that have many locations and remote individuals. Growing companies that need to cost-effectively scale their communications. Innovative businesses needing new forms of communications such as video, content sharing, and virtual meeting rooms. Cost-conscious companies looking to save $$ on up-front capital expenses. Companies with strained IT organizations looking to focus on their core business. What are you looking for in a new VoIP solution? How many telephones/users do you currently have?